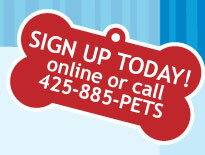 We would love to hear what your dog has to say about Doody First's service. Please send digital JPG files of no more than 500KB. Let us know what your dog thinks about having a clean yard.